‘She Darks Me’ is the lost album by Joe Chester, one of our finest songwriters, virtually unheard since its original recording. Written during stolen moments in between collaborations in L.A with Gemma Hayes and touring with The Waterboys, the ten track collection is perhaps the most melodic and liberating of Joe’s releases. Fewer overdubs and making courageous use of first takes where possible informed Joe’s renowned signature production style from that point on. A stellar range of musicians participated where opportunities to record could be grabbed, whether on the road with Steve Wickham and Trevor Hutchinson or on Willie Nelson’s tour bus with Mickey Raphael (Harmonica – Bob Dylan, Neil Young, Emmylou Harris). The recordings have been recovered from the archives and given a masterful updated sheen by Joe from his self-built studio near his home in the south of France. ‘She Darks Me’ is set for release on Friday 25 Jan 2019. Delighted that the Hedge Schools album, Magnificent Birds has been nominated in the Best Folk Album category of the RTE Folk Music Awards. You can vote for Hedge Schools at this link. Voting closes on Friday October 5th. The Pet Sounds Office, 2005. When it happens, when someone pulls it off, you are stopped in your tracks. It’s like a JFK moment; you can remember where you were. It has happened to me for albums such as Ryan Adams’ Heartbreaker (in my office at home), Amy Winehouse’s Back to Black (on air studio at TodayFM) and the Modest Mouse track ‘Float On,’ (my desk in Today FM, then head quartered in Jervis Street). This particular afternoon I was in that same Pet Sounds office with Jedda Downey, my producer at the time. We were, drinking tea, joking, answering emails, working through the post and putting the show together. I’d been expecting Joe’s album, having been a fan of Ten Speed Racer and having heard some early singles. But I wasn’t expecting this. I slipped it on and we worked away. Three songs in I stopped working. I turned around to stare at the stereo. I’d stared at the radio the first time I’d heard ‘Pretty Vacant’ and here I was again staring at a speaker. I was wondering what on earth was going on? It was ‘Charlie For a Girl,’ from the album that you are holding in you hands. It was transcendental. Jedda, too, had turned around. “Is that Joe?” she asked, “My, my!” We were nervous, we anticipated a misstep, a moment where you realise its one great track but not many others. That moment never came. It never put a foot wrong. Always the right note, sound, change, it was an album on a mission. I was excited to play the album that night, excited but again nervous: what if no one else shared my enthusiasm. I needn’t have worried. It became part of what defined the show. I played it a lot, it was an A list album. You could count on its inclusion each night like Badly Drawn Boy’s Silent Sigh, or Doves’ There Goes The Fear. Tracks you had to restrain yourself from over playing. In the weeks that followed I often found that when I played it Jedda would burst into the studio: “Oh my God!” she would effuse, almost tearfully, “It’s just so beautiful.” I could understand that, the album had an emotional heft to it, that wonderful melancholy undercurrent so prevalent in our favourite bands, Big Star, Teenage Fan Club, The Blue Nile, Prefab Sprout et al. I loved its lightness of touch, Joe’s plaintiff lyrics, the backing vocals, the clever arrangements, the simple but inventive instrumentation. It put you in mind of the Beatles Revolver era. You heard bits of Brian Wilson in it too but mostly you heard Joe Chester, and Ireland, and being alive, and his fellow musicians, largely from Ten Speed Racer. End of Year polls for 2005, the UK ones, were dominated by the arrival of Arcade Fire, Arctic Monkeys, Franz Ferdinand and Sufjan Stevens into the world. They all made great music that year, but reading those polls I couldn’t help but wonder how enriched they would have been by the addition of an album like Joe’s. A Murder of Crows is easily good enough to sit cheek by jowl with those others. It was the UK’s loss. Eventually, as is the way with radio, Joe was invited in to do a session and have a chat. I was more nervous now. How did he pull this off? Where had this wonderful album come from? What was the secret behind the magic? I pried gently around the meaning of Charlie for a Girl. It was unexpectedly poignant. I pried no more. It resonated for a reason, and that was enough. Joe has been a touchstone in so many projects since this album. He is someone that people like Gemma Hayes, Hozier, Mundy, A Lazarus Soul (another classic album) or Shane McGowan can turn to for production in the knowledge that they are facing a kindred spirit. They know too that he will bring something out in them. He makes them bring their A game. His subsequent solo albums too have developed into wonderfully profound and moving works, his latest, The Easter Vigil, being a particular high. Critics queue to heap praise: “genuinely breathtaking,” “truly transcendent,” “melody incarnate.” the list goes on and on. It’s already quite the body of work, but there is more to come. But this record occupies a special place in my heart. Some great music captures that point in your life, youth I think it’s called, when the world is alive with optimism, energy and hopefulness. But even better music captures that moment when the future is still dizzy with possibilities but is yet somehow tempered by our human frailties and the knowledge that it doesn’t always go to plan. This is such a record, gorgeous from beginning to end. I spoke about the reissue and played some live tracks on Radio Nova and 98FM over the weekend - links below. I have just finished mixing and mastering the live recording of our show at the Unitarian Church, Dublin in April this year. The resulting album, "Live At Unitarian Church" is set for release in various formats on Bohemia Records this summer. The show was a live performance of The Easter Vigil with Vyvienne Long, Steve Wickham and Brian Brannigan. The album also includes our version of Vic Chesnutt's "Flirted With You All My Life." Here's a link to a review of the show by Killian Laher of No More Workhorse. 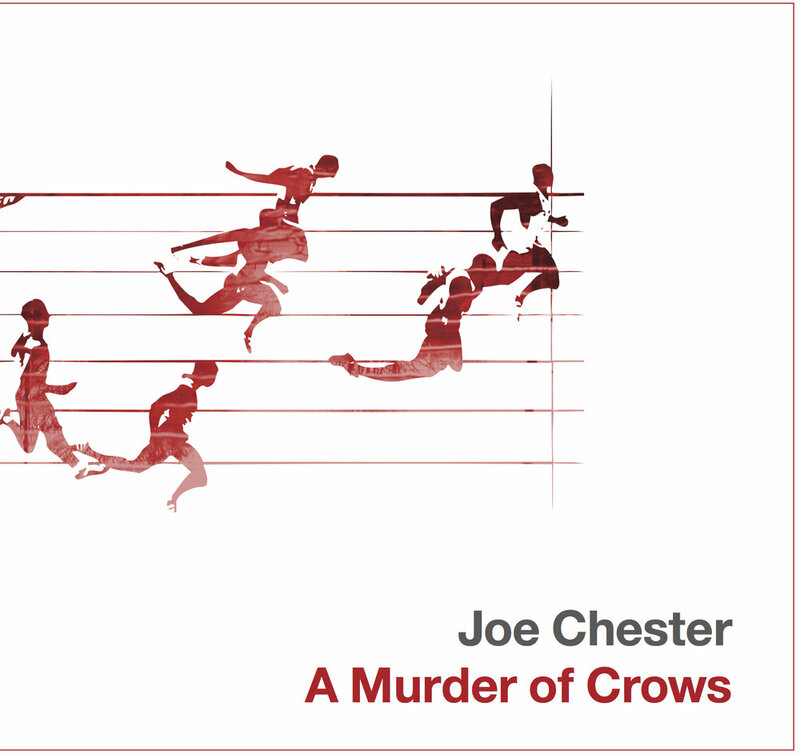 Also set for release on Bohemia is a deluxe CD and digital reissue of my first solo album, A Murder Of Crows, featuring the original album (out of print since 2005), bonus live tracks and outtakes, a booklet featuring sleeve notes by Tom Dunne, Tony Clayton-Lea and Dan Hegarty and updated artwork by Simon Roche. It will be released in October this year. Here's the Hotpress 2005 review of the original album. A concert in a church certainly has a sense of occasion. Maybe it’s the absence of clinking glasses and fumbling for change. Or maybe it’s the sheer beauty of a place like the Unitarian Church. Anyway it felt like a special night was in store. First up were Dublin three piece Pine the Pilcrow who impressed using keyboard, cello and violin on folky laments like It’s Only Love, Part Of You Died and Red Empire. Their brand of folky, evocative pieces went down well in the sacred surroundings, and their short set finished with new single Dahlia, which has an almost traditional Irish feel to it. Certainly a band to watch. A rare opportunity to see Pat Barrett and Joe Chester play as The Hedge Schools came next. Barrett’s great, wounded bear of a voice took centre stage as his deft acoustic guitar playing was accompanied by Chester on guitar, keyboards and loops. Concentrating mainly on 2015’s At the End of a Winding Day album, gorgeous, heartfelt songs like Home, Winter Coats and Oceans soared in the church. The guitar interplay between the two was particularly strong on Good Ship Endeavour, and we also received a taste of the next album in the shape of Gold (after the gig Barrett mentioned they are “well down the road with the new album”). The set felt emotional and both men embraced at one point. A long drawn out opening featuring the sounds of the sea and a prayer recital in Irish introduced Joe Chester’s set as he opened with the propulsive Spy Wednesday. Joined by Vyvienne Long on cello, Steve Wickham on violin and Brian Brannigan on keyboards, they played a moody set drawn from recent album The Easter Vigil. Chester’s voice has weathered a bit over the years and suits him better now, sounding a little like Michael Stipe on That’s Why Love Is Hell and Like A Rose Tattoo. Juliette In The Rain came across like Springsteen in his Tunnel of Love era while Dark Mornings was the poppiest moment, featuring Chester’s bright electric guitar licks. The set culminated in him pulling out his Dad’s guitar on the downbeat, elegiac Not A Christian Anymore before they encored with a passionate version of Vic Chestnutt’s Flirted With You All My Life (the line “oh death clearly I’m not ready” could only resonate in such a setting). It felt like a spiritual evening and you could argue it was, with fine, affecting Irish music that moved the soul. A triumph for Joe Chester then, in the past his solo music has seemed a little indistinct and not memorable but with these songs he has delivered.